Mentioned Jumbo Seafood and one will associates the restaurant with its signature Chilli Crab. The local brand has recently opened its newest and first outlet along Orchard Road at Ion Orchard. 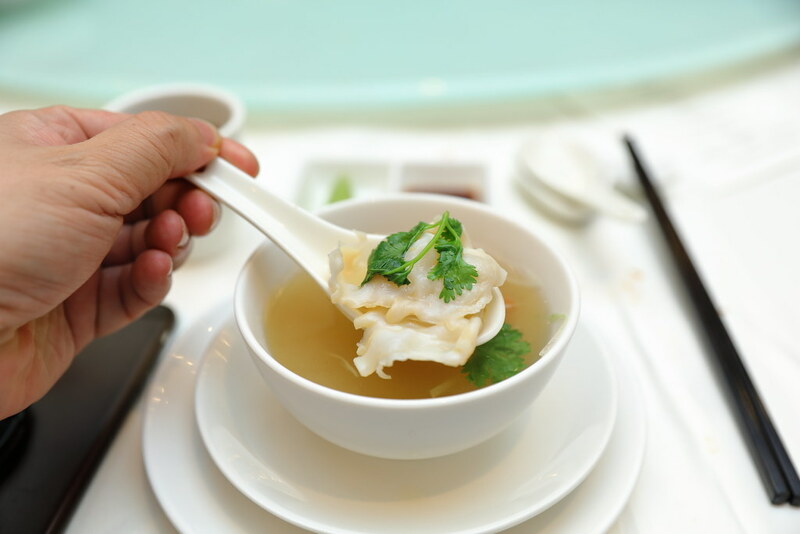 The restaurant offers new and exclusive dim sum and live seafood signatures with a panoramic view of the city. 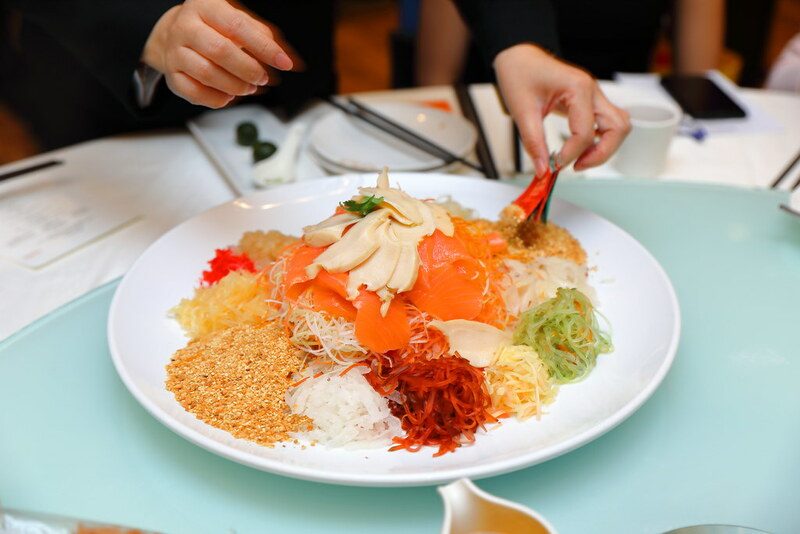 In conjunction with the Lunar New Year, one can order the Prosperity Salmon Yu Sheng ($58/$88) to toss to a year of prosperity and abundance. 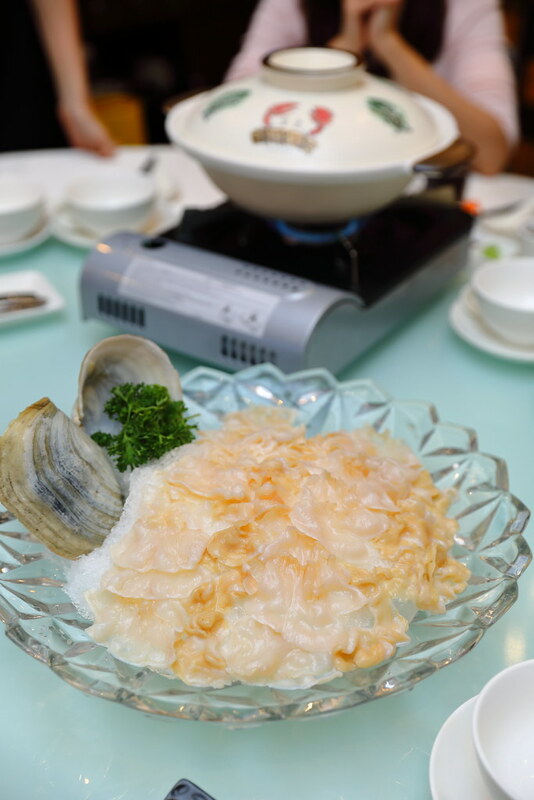 Guest can also choose to add on sliced abalone for an additional $48. 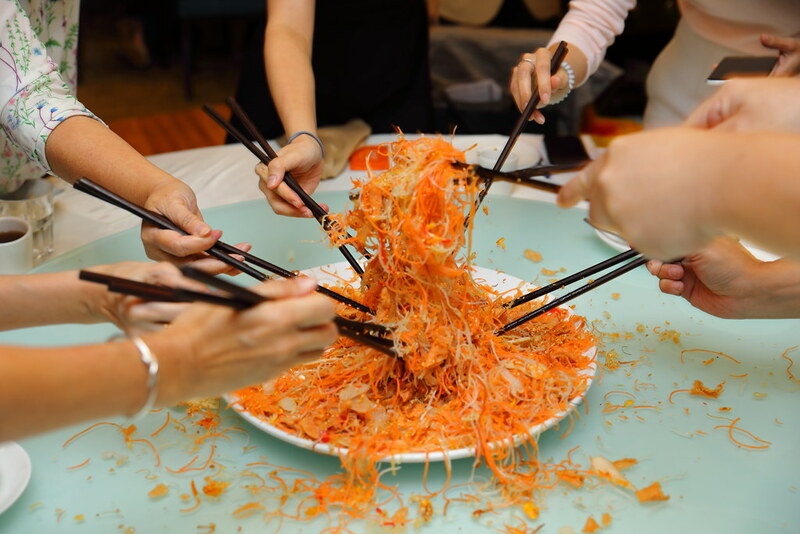 The yu sheng is available from 21 Jan to 19 Feb 2019. 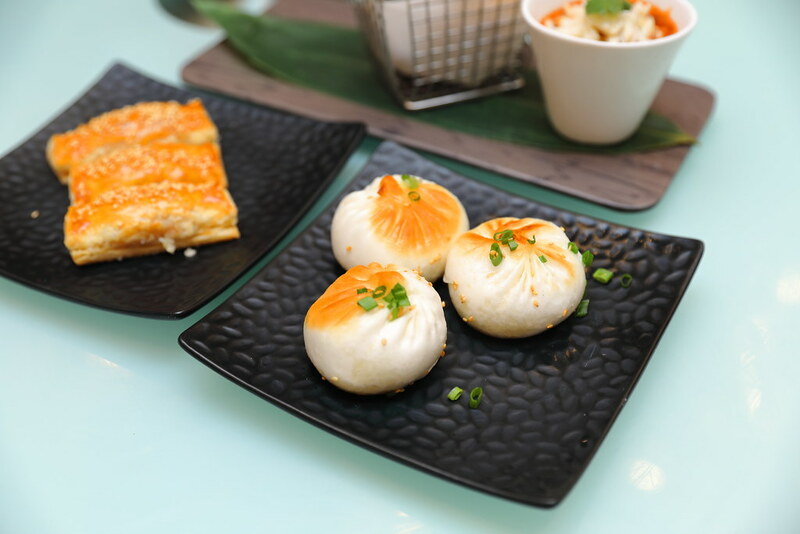 Diners can look forward to new dim sum and high tea delights at the Ion Orchard outlet. It is available from 1130am to 330pm on weekdays, as well as weekends and public holidays from 230pm to 530pm. Another first for Jumbo Seafood is incorporating their signature chilli crab into the dim sum menu, offering bite size portions. 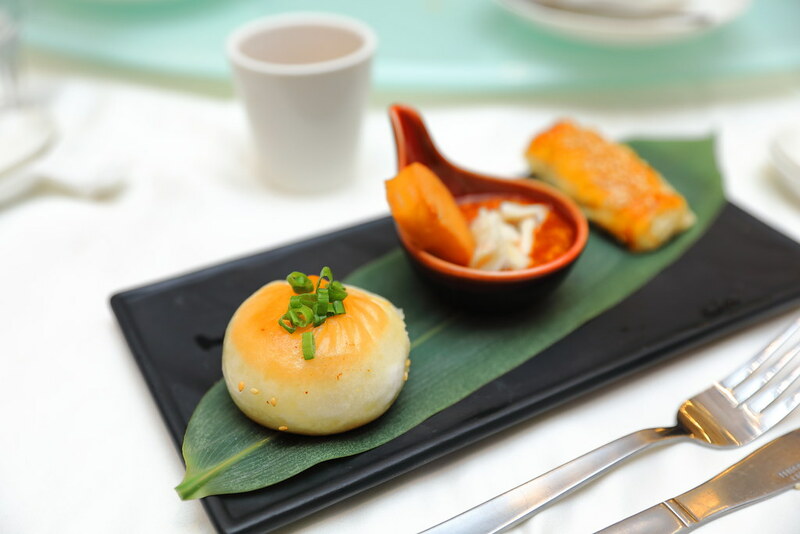 The soft and fluffy Pan Fried Jumbo Chilli Crab Buns ($8.80) is stuffed with delicate crab meat in a sweet and spicy chilli crab gravy. 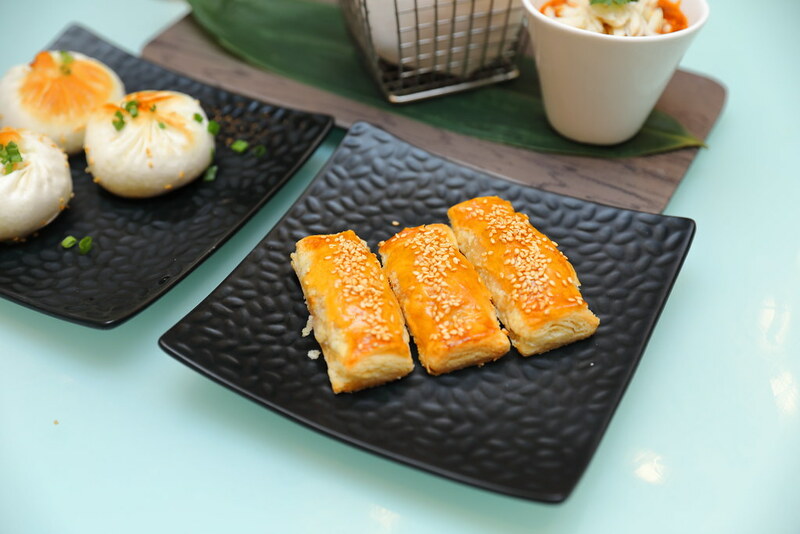 The Baked Jumbo Chilli Crab Puffs ($8.80) on the other hand features a flaky and buttery puff pastry. 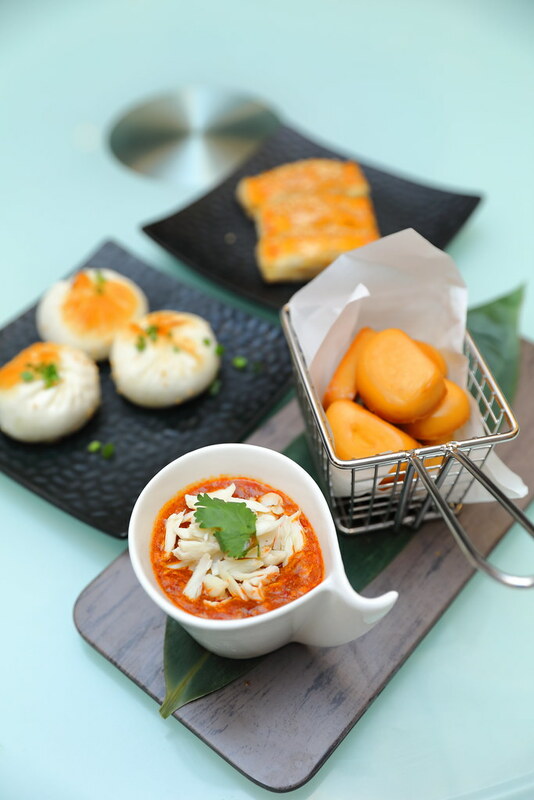 For those that does not plan to order the whole chilli crab and yet still want to savour the dish, guest can consider the Chilli Crab Meat Sauce with Sliced Fried Mantou ($16.80). 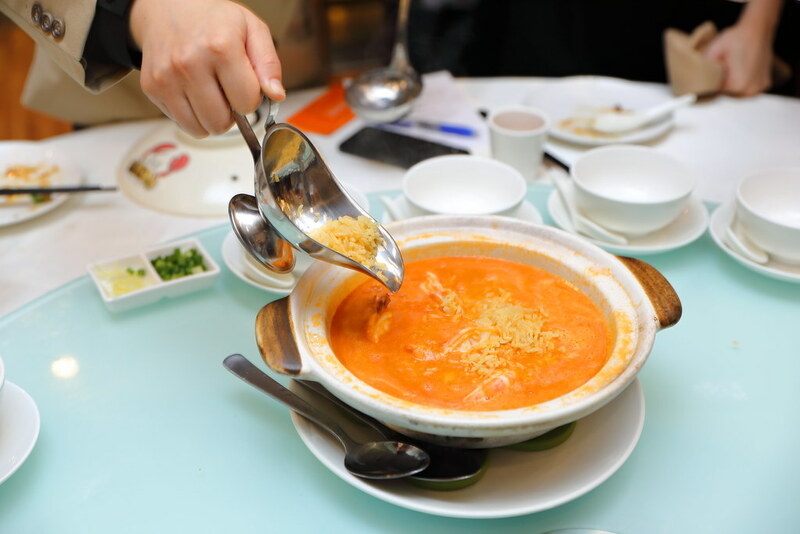 The great thing is it comes with de-shelled crab meat in the sweet and spicy chilli crab gravy. It even comes with fried mantou to fully enjoy the chilli crab gravy. From the dim sum menu, we moved on to the seafood section. We have the Geoduck Clam ($18.80 per 100g). The superior stock is brought to a boil before the sliced geoduck glam is blanched in it. Besides appreciating the sweet and crunchy texture of the geoduck clam, one gets to drink a comforting and flavourful bowl of superior soup. An exclusive dish at Ion Orchard outlet is the Crispy Fried Cod Fish with Nonya Sauce ($22). The highlight is the nonya sauce that has a tantalising tang which goes very well with the crispy fried cod fish. 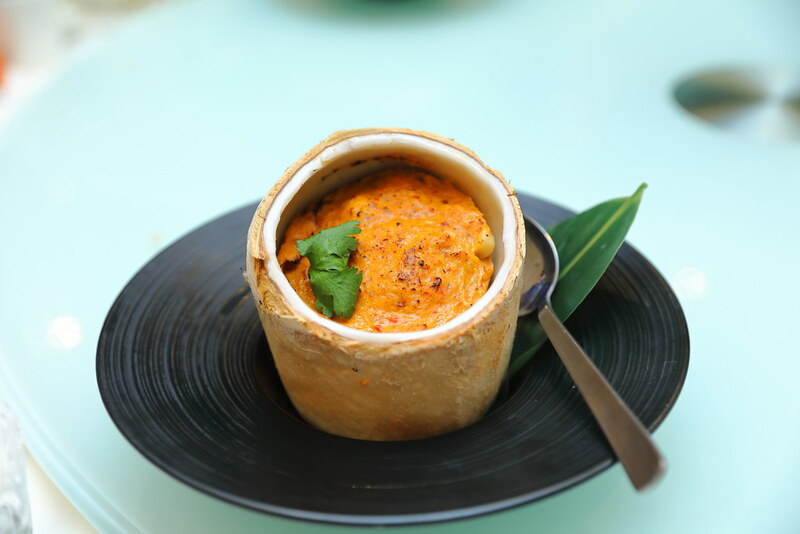 Another cod fish item on the menu is the Cod Fish Otah in Coconut ($16.80). This is the premium version of the local otah using the cod fish. The steaming of the otah in the coconut husk, gives it a hint of fruity flavour on top of the rempah and lemongrass aroma. I always feel that progression is always needed in F&B to keep up with the change in palate. 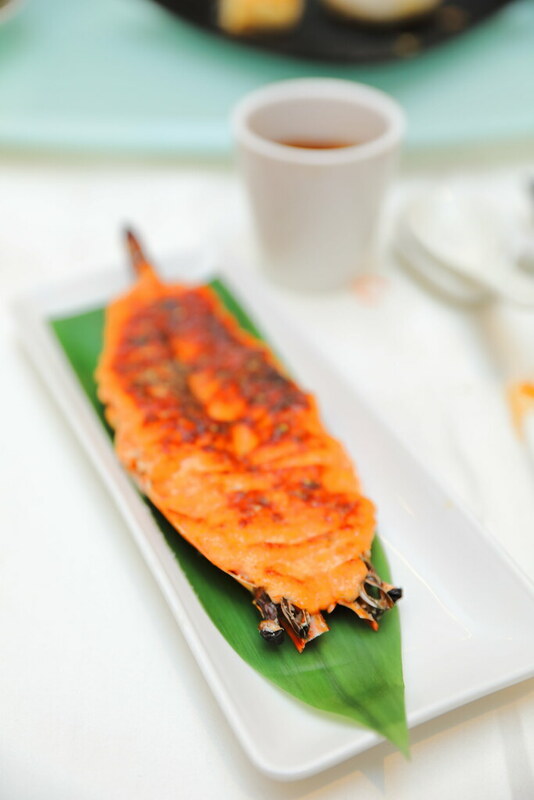 The Cheese Baked Mentaiko King Prawn ($16) incorporates both Western and Japanese influences into the traditional seafood offering at Chinese restaurants. While the flavour may come across a bit too rich and intense for me to appreciate the main ingredient, I can understand this may be well received by the younger generations which have a liking for stronger flavours. 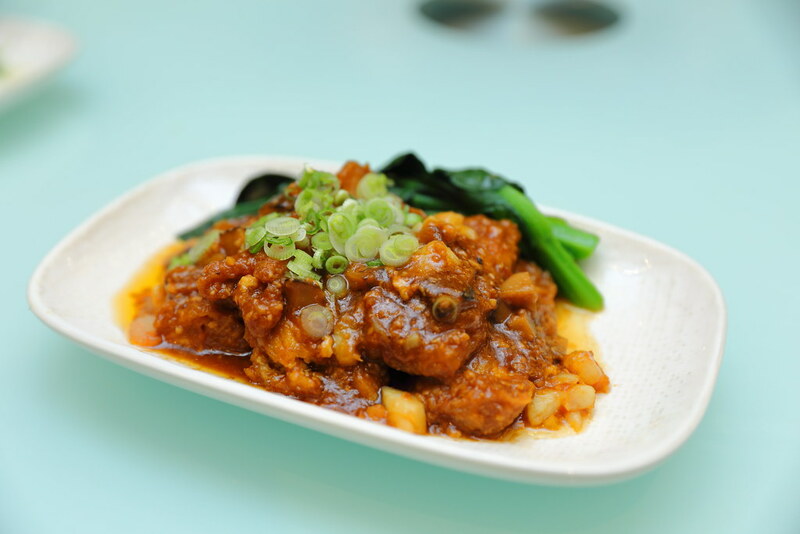 Besides dim sum and live seafood dishes, Jumbo Seafood also offers homely dishes such as the Chinese Chives Stir Fried with Minced Garlic ($11/$14/$21/$28) and Homemade Beancurd and Mixed Seafood Braised with Abalone Sauce ($14/$18/$27/$36). 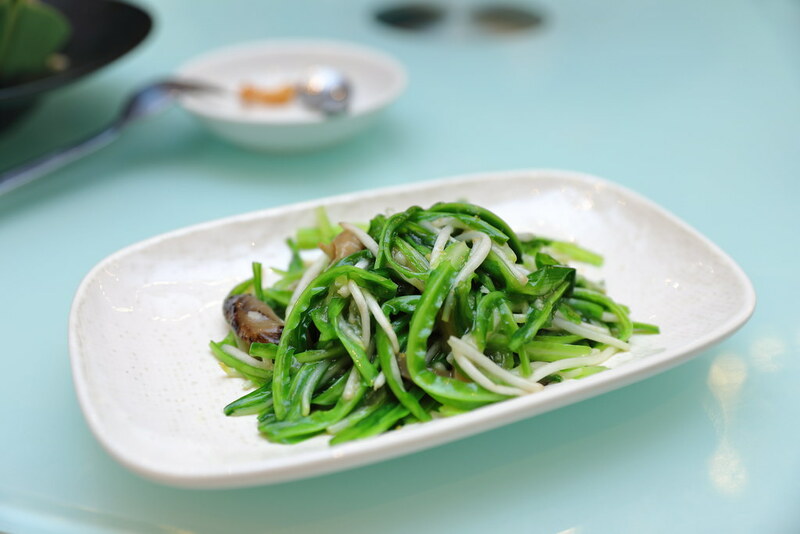 Chinese chives have been a common greens served in Chinese restaurant in recent times, and it is well received for its clean taste and crunchy texture. 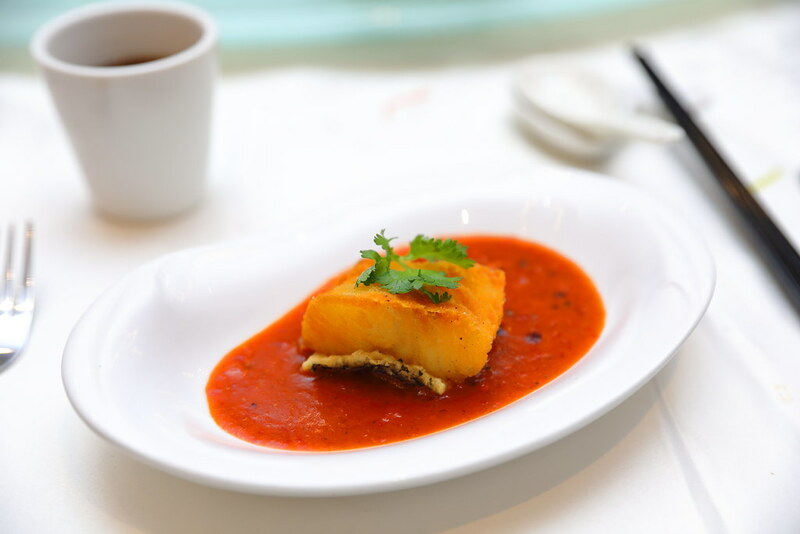 As for the homemade beancurd, it is not those silky type but layers of beancurd skins. What I love is the delicious abalone sauce with fermented soy beans that elevated the whole enjoyment. 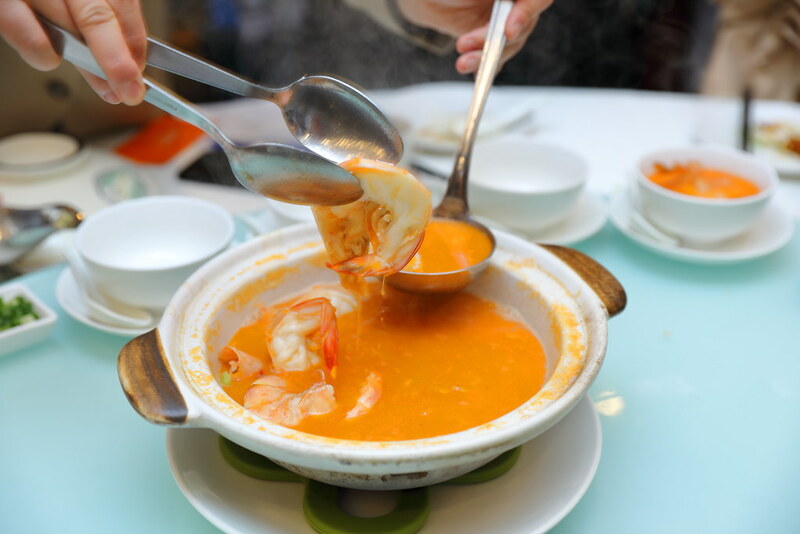 Not to be missed at Jumbo Seafood is their Pao Fan - King Prawns and Fragrant Rice in Rich Seafood Broth ($38). The crispy rice grains is added into the piping hot prawn broth rendered by simmering prawn shells for several hours. Comes with fresh huge king prawns, this is an umami-rich gastronomic treat. The price is also very reasonable. There is even a more lavish version in the Live Boston Lobster and Fragrant Rice in Rich Seafood ($78). The 160-seater space at Jumbo Seafood Ion Orchard caters to gatherings of small, intimate scales, as well as larger groups and get-togethers. Private dining rooms, with the option of adjoining ones for bigger events, celebrations, and corporate functions, are also available with prior reservation. Probably the first in Singapore, I also noticed the new range of sizing portions for its dishes. It now has extra small portion, a new additional to the usual small, medium and large portion for dishes.